Possibility to spend the night at Krabi airport (KBV), if open 24 hours. Services available, places to rest (free resting zones), or look for the list of nearby hotels and vip lounges..
Krabi airport is small and operates around the clock, so it is very crowded even at night. If you want to rest, it is better to have headphones or earplugs. Where to rest: Your best bet is to go to the Arrivals Halls, which are quieter and have plenty of unused nooks. Have a sleeping bag or blankets handy for a better rest. In the Domestic Terminal there are also a couple of VIP lounges, although they close at night. 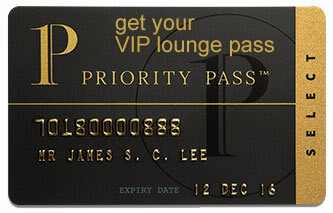 SEE VIP LOUNGES In the vicinity of the airport, on the other hand, are located several accommodations. Baggage: A luggage storage office is available inside Terminal 1. Eating and drinking: Eateries inside the terminals close at night. Have some snacks ready in advance. Wi-Fi: The service is only available for Thai Airways passengers. Some of the closest hotels are: Palmari Boutique Hotel (Tel +66 899 883 203), Srisuksant Urban (Tel +66 7581 6357), Sai Rung Resort (Tel +66 836 924 479), Phana Resort (Tel +66 817 879 775), Baansuan Rimnom Resort (Tel +66 870 465 744), Numjaan Resort (Tel +66 935 846 914), Prima Resort (Tel +66 870 015 078), Tewson Resort (Tel +66 897 296 331), Wanarom Residence Hotel (Tel +66 7581 0361), Nap Krabi Hotel (Tel +66 7565 2992).